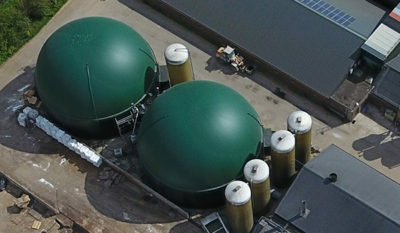 Nice to see! 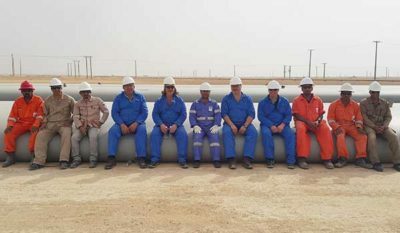 Even beter to have, 2 Alligator Bagtanks next to each other one filled, one empty, each ..
At the end of 2017, Albers Alligator supplied a set of 9 Winbags and a Winsystem to Oman. 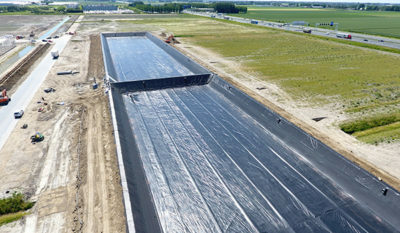 The ..
Capacity 52,000 m³ Developed slope length of basin interior 18.00 m Developed slope length of basin exterior 21.00 m ..
Tholen – Two basins were installed at Schenkeveld’s new construction. 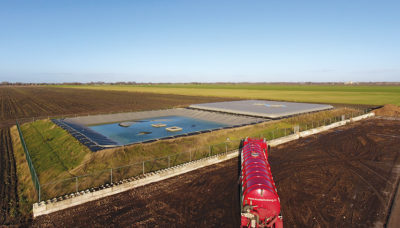 Each basin is 54×174 metres. 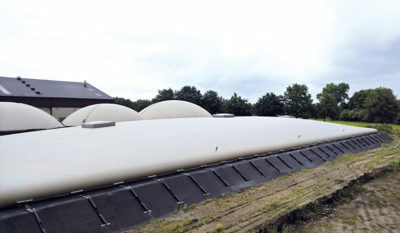 Albers Alligator installed the ..
Two fantastic biogas roofs were installed by us this spring at Van den Heuvel in Bakel. 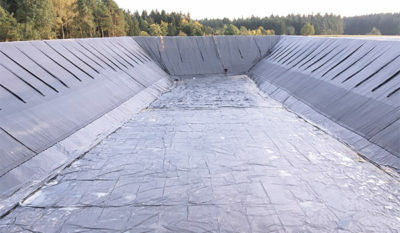 ..
Last week, a fermenter bag with a capacity of 5200 m³ was installed at Boonen Biogas in Belgium. The ..